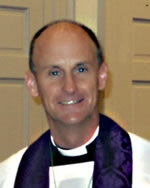 Reverend David Butler was called as Senior Pastor to St. John’s in 2003. A graduate of the University of South Carolina and Lutheran Theological Southern Seminary, Pastor Butler arrived and went to work energizing this historic Lutheran Church and congregation for both present and future ministries. Possessing a passion for developing relationships, he has deepened the relationships and connections that exist in our parish, including the relationships between our members and our member’s relationship with God through Christ. Arriving with a love for Jesus and for people, Pastor Butler constantly communicates and shares the gospel in every way possible. Throughout his ministry, Pastor Butler has served in many ways beyond parish ministry, including: SC Synod Youth Ministry Cabinet, SC Lutheran Retreat Centers Board President, Lutheran Family Services in the Carolinas Board, Charleston Port and Seafarers Society Ministry (since 2006, Board Chair since 2011), American Heart Association Board (Charleston), and SC Synod Candidacy Committee (2008-2018, Chair 2013-2018). Additionally, Pastor Butler served our nation as a United States Navy Chaplain (Reserve) from 1988 until 2016. He was mobilized as the Deputy Force Chaplain for the United States Marine Corps Reserve for the period of 2008-2009. As a Navy Chaplain, he has served with the Navy, as well as the United States Marine Corps and the United States Coast Guard. He retired in January, 2016 as a United States Navy Captain. Pastor Butler invites you to visit St. John’s where we are growing in our knowledge of Jesus Christ as our Lord and Savior and where we are being empowered to share Jesus with all people, wherever we may be. 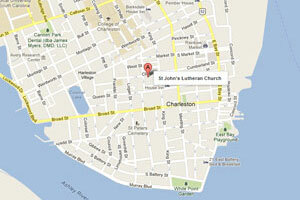 Come be a part of St. John’s, an historic congregation growing into the future God is calling us to be a part of. Pastor Butler is married to Judy and they have three children: Samantha (Jeff); Douglas (Olivia), and Amy. Being a husband, father, and pastor have brought great joy into his life and he will quickly share that these, along with our wonderful congregation, have been great blessings.